Combine with the MS1 Sling and QD Sling Swivel to provide two to one-point convertibility. Melonite™ and manganese phosphate finished steel with custom snag-free high durability 1-1/4″ webbing. Made in U.S.A.
REAR – Works with receivers, end plates, and buttstocks that have a push-button QD socket for one-point attachment. 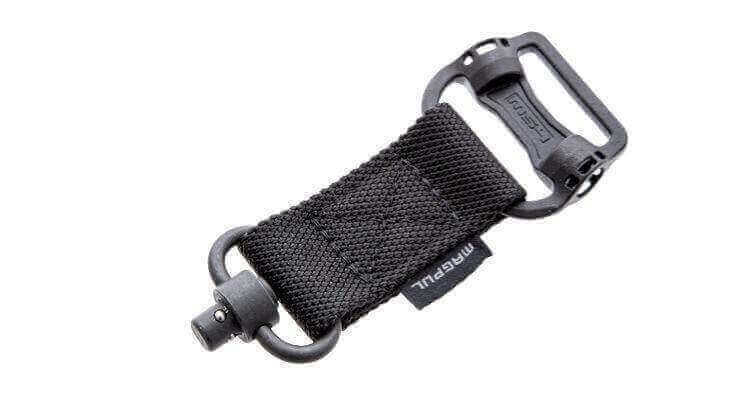 FRONT – Using optional QD Sling Swivel, compatible with the Magpul RSA®-QD and Forward Sling Mounts, as well as most other push-button QD sockets for use in two-point mode.